The lettering, pastel colours and pleats celebrate the arrival of spring and exalt a woman and all of her femininity. 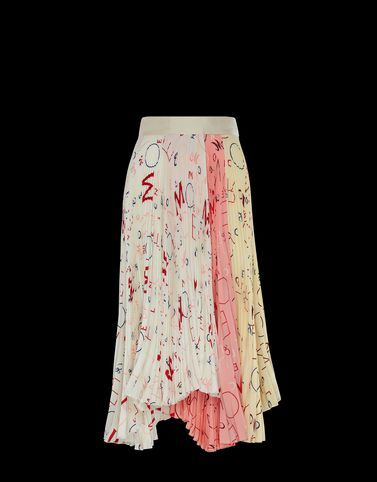 This is the secret of this delicately coloured skirt branded 2 Moncler 1952, collection n°2 of the Moncler Genius project. A versatile garment with two sides: more romantic when paired with a cardigan, or more metropolitan if worn under a leather biker jacket with a cool attitude.